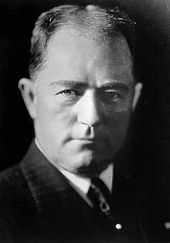 Friedrich Born (1903–1963), an ICRC delegate in Budapest who saved the lives of about 11,000 to 15,000 Jewish people in Hungary. Marcel Junod (1904���1961), a physician from Geneva was one of the first foreigners to visit Hiroshima after the atomic bomb was dropped. ^ a b "Nobel Laureates Facts — Organizations". Nobel Foundation. Retrieved 2009-10-13. ^ a b Young, John; Hoyland, Greg (14 July 2016). Christianity: A Complete Introduction. Hodder & Stoughton. p. 354. ISBN 978-1-4736-1577-9. ^ Sending, Ole Jacob; Pouliot, Vincent; Neumann, Iver B. (20 August 2015). Diplomacy and the Making of World Politics. Cambridge University Press. p. 181. ISBN 978-1-316-36878-7. ^ "The Story of My Childhood". World Digital Library. 1907. Retrieved 2013-10-09. ^ "VIVANT QUI PASSE. 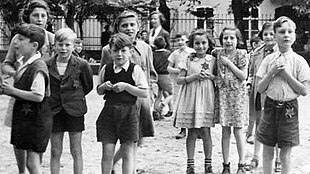 AUSCHWITZ 1943 – THERESIENSTADT 1944. R: Lanzmann [FR, 1997]". Cine-holocaust.de. Archived from the original on 2007-02-19. Retrieved 2009-04-14. ^ "Afghanistan: first ICRC visit to detainees in Taliban custody". 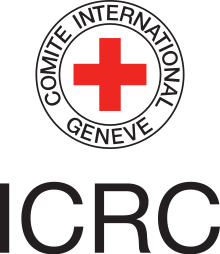 Icrc.org. 2009-12-15. Retrieved 2011-12-10. ^ "Red Cross in Afghanistan gives Taliban first aid help". BBC News. 2010-05-26. Retrieved 2011-12-10. ^ "Role and Mandate of the Standing Commission". 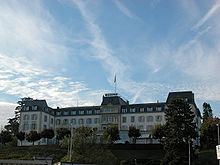 Standing Commission of the Red Cross and Red Crescent. Archived from the original on 15 March 2014. Retrieved 4 March 2014. ^ "Appeals". IFRC. Retrieved 2016-08-18. ^ "Tuvalu Red Cross Society becomes 190th member of the IFRC". IFRC. Retrieved 2016-08-18. ^ "The history of the emblems". ICRC. 2007-01-14. Retrieved 2016-08-18. ^ Pierre Boissier (1985). From Solferino to Tsushima (1985 edition). Open Library. ISBN 978-2-88044-012-1. Retrieved 2016-08-18. 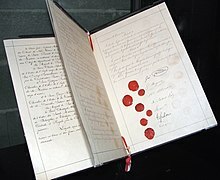 ^ "Protocol additional to the Geneva Conventions of 12 August 1949, and relating to the Adoption of an Additional Distinctive Emblem (Protocol III), 8 December 2005 Article 1 – Respect for and scope of application of this Protocol". Icrc.org. Retrieved 2016-08-18. ^ "American Red Cross Welcomes Israel's Magen David Adom and Palestine Red Crescent Society to International Red Cross and Red Crescent Movement" (Press release). 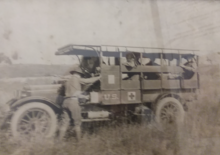 American Red Cross. 21 June 2006. Archived from the original on 21 August 2009. ^ "Blood On the Cross — EngageMedia". Engagemedia.org. Retrieved 2016-08-18.